When exploring new construction business ideas keep the 55+ home buyer in mind. Investors are finding great opportunity for new home construction business ideas in the 55+ home building industry. As Baby Boomers start to retire, the market for 55+ housing is growing. Baby Boomers are expected to make up 30 percent of home buyers this year, according to Realtor.com®, making communities that appeal to 55+ home buyers an intriguing new home construction business idea. In “The Changing Face of Today’s 55+ Consumer,” Mollie Carmichael of real estate consumer trends research firm John Burns Consulting pointed out that more than 60 percent of people shopping for a home today are above the age of 55. That’s 62 million households with a net worth of $488 million—numbers worth paying attention to when evaluating new home construction business ideas. The sheer number of people in this demographic (especially above 65) is also increasing, according to the Joint Center for Housing Studies at Harvard University. With that many potential home buyers, the 55+ demographic is a great target for developers. 55+ home buyers are looking for smaller, ranch-style homes and communities that provide exterior home maintenance like lawn care. 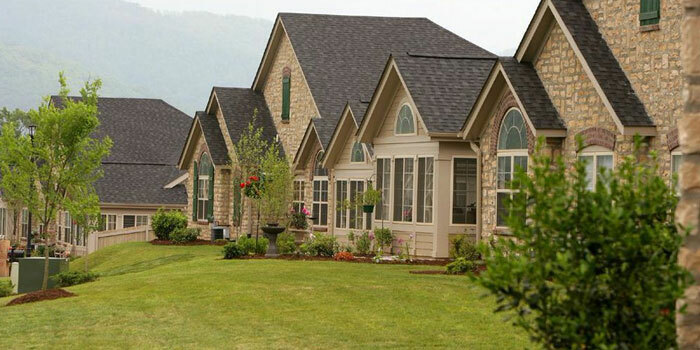 The 55+ home buyer is looking for a specific type of home and community. This demographic increasingly focuses on lifestyle: entertaining and spending time with friends are in; endless chores are out. The choice to move into such a community, say industry experts, is lifestyle-driven, not needs-driven. The 55+ demographic prefers ranch-style homes that emphasize functionality and offer a feeling of airiness inside. Successful home builders have developed floor plans that appeal to this group’s unique desires based on extensive market research of the demographic. Since lifestyle and entertaining is a focus, open concept living areas and features like outdoor patios are popular. A survey of the 55+ age group found that buyers are looking for high ceilings, natural light and sufficient storage space. Flex rooms are also a plus because they allow homeowners to customize their space to accommodate guests, a home office or whatever else they need. Many 55+ new construction buyers are downsizing and looking for less square footage, fewer bedrooms and less maintenance. In addition to offering the right floor plan options, 55+ communities must provide some exterior home maintenance. This may include lawn care, snow removal, trash pickup and other landscaping services. More than just a smaller, low-maintenance home, this group of buyers is looking for a community. Developers targeting this demographic need to build communities that feature amenities like walking trails and clubhouses. The clubhouse should have a swimming pool, fitness facilities and plenty of room to host social events, all of which facilitate the sort of lifestyle that appeals to the 55+ demographic. 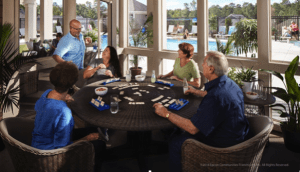 Successfully appealing to 55+ home buyers requires focus on a casual and relaxed lifestyle with plenty of time and room for entertaining and socializing with friends. Location matters for 55+ communities, too. Baby Boomers want to be near shopping, restaurants, medical services and grocery stores, not in remote areas. Warmer climates like Florida, Arizona and southern California are especially popular, as some 55+ home buyers want to relocate for their retirement home. Successful home development requires these kinds of features and amenities to appeal to this growing demographic. By focusing on buyer needs and wants, home building for the 55+ demographic can be a lucrative and rewarding investment. If you’re looking for new construction business ideas targeting Baby Boomers, get in-depth details about the Epcon homebuilding franchise opportunity by downloading our free franchise report. The post What the 55+ Home Buyer Is Looking For in New Home Construction appeared first on Epcon Communities Franchising, Inc.
Epcon Franchising Create a free website or blog at WordPress.com.